The iBA degree program reflects York's commitment to internationalization and requires students to acquire an international language and to gain international experience on exchange at one of York University's partner institutions abroad. Students benefit from enhanced interdisciplinary and cross-cultural knowledge, which are important components of the department's academic focus. Medical Anthropology provides an anthropological perspective on health and illness processes and the socio-cultural factors that shape the experience of illness, patterns of health and disease, and access to health care services. Medical anthropology uniquely studies both cross-cultural and biomedical systems of healing. 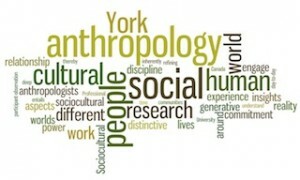 The Honours Minor in Medical Anthropology may be combined with any approved Honours BA program that offers a major/minor option in the Faculties of Environmental Studies (Bachelor of Environmental Studies – BES), Health, Liberal Arts and Professional Studies, Science, the School of the Arts, Media, Performance & Design, or the Lassonde School Engineering. For further details on requirements, refer to the listings for specific Honours programs that may be pursued jointly with other Faculties.